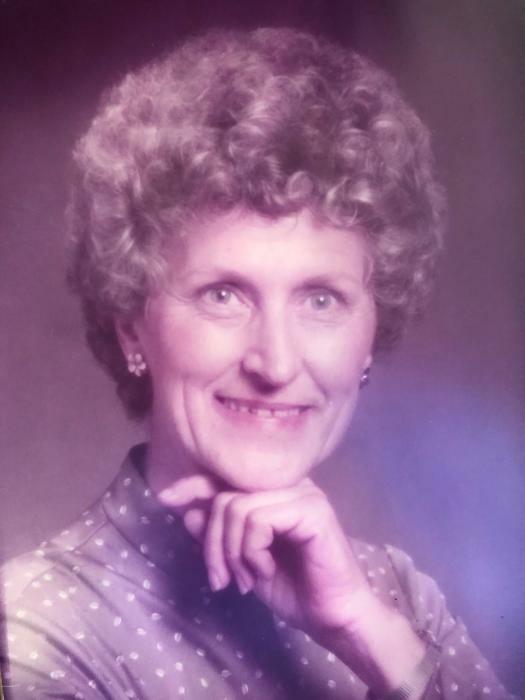 Emma Lou Gaddy Morrow, age 88, of Asheville, NC, passed away on Wednesday, January 30, 2019. She was born on August 1, 1930 in Buncombe County, NC to the late William Harley Gaddy and Sarah R. Hensley. Emma worked at NCI; a finisher factory for airplane parts, and was also a member of Biltmore Church. Along with her parents, she was predeceased by her daughter, Donna Morrow. Emma is survived by her son, Doug Morrow of Asheville; her daughter, Kathy Sulc of Disputanta, VA; her brother, Larry Gaddy of Fairview, her three sisters, Peggy Smith, Dorothy Gosnell and Betty June Cawthorn, all of Fairview; her three grandchildren, Zachary Morrow (Tara), Emma Grace Morrow, and Bradley Jason Sulc (Kelly); and her three great grandchildren, Hunter Morrow, Kasey Sulc and Korbin Sulc. A memorial service will be held at 11am, Saturday, February 9, 2019 at Pleasant Grove Baptist Church. The family will be receiving friends an hour before the service at the church. The Rev. Steve Hensley will be officiating. Penland Family Funeral Home is honored to be caring for the Morrow Family.